2017 BBC Radio 2 Young Folk Award Winners Josie Duncan and Pablo Lafuente have been described as ‘a vocal/guitar duo like no other’. Coming from the Isle of Lewis (Josie) and from Spain (Pablo) its no wonder that their music doesn’t focus on just one place or on just one musical tradition. They are both well versed in music from many lands and many different influences. 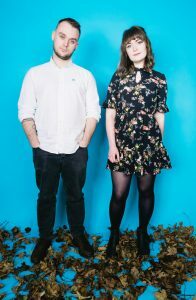 ​Josie’s voice is ‘crystal clear with a slight island twang’, and is accompanied by Pablo’s ‘dynamic and sensitive guitar playing which illuminates the lyrics’. Their music is at times sparse and haunting and at other times driven and all consuming, but always aims to delight their audiences.